After record entries from over 30 countries and scrutiny by an independent panel of judges consisting of over 40 journalists, analysts, accelerators and VCs from around the globe, the 2015 Meffys finalists have been revealed. The ultimate winners will be announced on October 19th 2015 in at a Gala Dinner taking place in London, hosted by the legendary musician, beat-boxer and musical mastermind, Beardyman. In the run up to the event we will be profiling the finalists in the different categories. – Today its the turn of the Innovation Award for best business model, recognising companies who have successfully implemented a new business model that is advancing consumer engagement and revenue generation within the mobile ecosystem. A low-cost subscription-based app store concept, Bemobi’s Apps Club offers carriers, developers and consumers an alternative for best-in-class Android apps. Available throughout Brazil and Latin America, Apps Club gives Android device owners unlimited access to select apps while providing developers with long-term recurring payments. Apps Club’s partnerships with carriers has changed the market’s dynamic by enabling subscription fees to be charged against the user’s prepaid balance or added monthly to their post-paid bill. Subscribers gain access to a number of curated high-quality apps in categories such as Music, Games, Utilities, Kids, Health, Education and Entertainment, all with excellent user ratings. Limited to 500 titles, Apps Club grants developers considerable exclusivity in their categories. Novatti and a local Malaysian company, ATX, have joined forces to disrupt and massively expand mobile payment options for Malaysia. The joint-venture revolutionises the payments ecosystem by providing top-up and bill payment services to different distributors and their extensive network of retailers, which were previously denied these services. Combining group messaging and gaming, Palringo brings people together from all over the world to chat and play games, in the context of shared interests. With over 40 million downloads and 350,000 user-created social groups, Palringo is one of the largest networks of mobile communities. 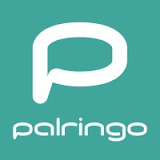 Innovating within the crowded mobile messaging space, addressing monetisation issues and embracing the growing community of gamers using the messaging app to coordinate their online gaming activities, Palringo now focuses on integrating games into its service. Pollen VC gives app developers faster access to revenues they’ve already earned from the app stores. Rather than wait up to 60+ days to get paid by the major platforms, developers using Pollen VC can unlock their funds to grow their business expediently and efficiently. The technology behind Pollen VC links with the developer’s iTunes Connect or Google Play account to calculate their verified app store revenues. Pollen VC can either pay out cash (at a rate of 95% of the previous week’s earnings), or developers can recycle their revenues straight back onto user acquisition by funding their ad network accounts through the Pollen dashboard, based on their sales from the previous day. The developer does not have to rely on external sources of capital (e.g. Venture funding) or pre-payment of advertising networks using credit cards to fund their growth. 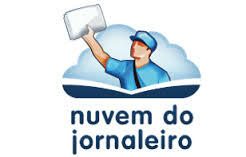 Nuvem do Jornaleiro is an online platform that offers unlimited access, in a single sign-in to major magazines and newspapers, plus real-time news. Available on desktop, smartphone and tablet (Android and iOS) more than 280 magazine and newspaper titles are available in 26 different categories of magazines and newspapers from all regions of Brazil and for all age-groups. The user also has access to news from over 150 countries generated in real-time by major international agencies EFE, AFP and AP, and can customise the generation of news according to their reading preferences. The winners will be announced at a glittering Gala Dinner taking place on 19th October at the prestigious Rosewood Hotel – a stunning 5 star venue in the heart of the city. Tickets are on sale now – be sure to book your VIP table for a front row seat and join the who’s who of the mobile industry at this year’s celebration. Next PostIs it worth the hassle to work with telcos?